← Kingsley Ward Rockfield Fellowship. I am having a chat tomorrow with the guys down at the Loose Goose Podcast on the early years of the Acid Jazz movement. 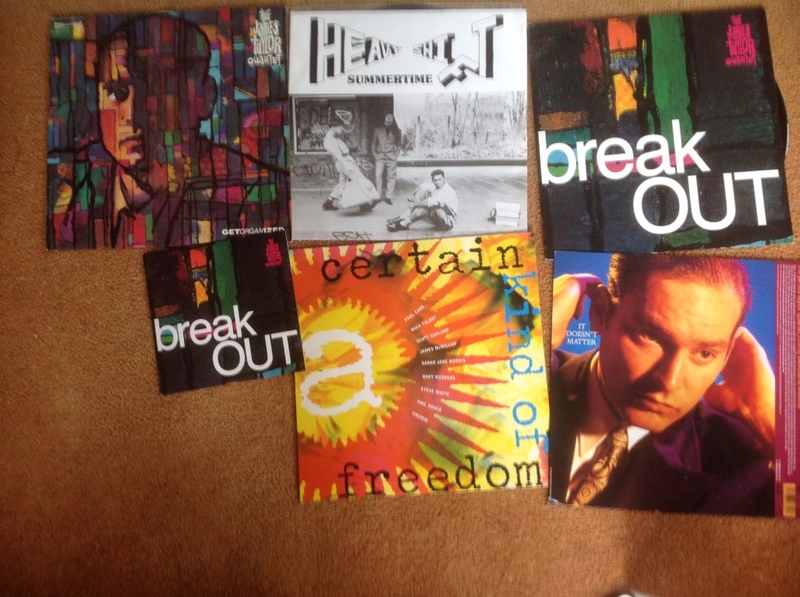 In order to do a bit of prep I raided my old vinyl collection and found a few ‘records’ I was involved in. Did not even realise that I had some of these – brings back memories of times – when I used to simply describe myself as a ‘guitarist’! One of the things I will probably talk about are the influences of the movement when I was involved, and how these influences for me anyway were related to music I had listened to for a long time – in particular artists such as Grant Green and Jimmy Smith. It was also surprising to me how popular this music was to young people my own age (then!). To finish, here is a bootleg recording of JTQ live in Milan during a 5 day residency – featuring me on guitar, Steve White on Drums, James Taylor on Hammond, John Wallace and John Willmot on tenor sax. Excuse the mistake at the start – the music kicks at around 1:17. It displays perfectly the post modern phenomena of how old sounds were beginning to mean things to a new generation. More of this on the podcast. This entry was posted in Academic and tagged Acid Jazz, Hot Barbeque, james taylor quartet, jtq, Milan, paul carr, steve white. Bookmark the permalink.